So what did we do to make this a top of the line product. Well we need all the minerals that are available to be made available to our cells. Minerals will bring the all the multiple minerals to the cell and help bring it what it needs. * Ormus Minerals in the Dead Sea Salt. * The Fulvic Acid Minerals with its 67 plus minerals in cheleated organic form. * The Himalayan Crystal Salt Sole with its 84 minerals in a energetic form. * The Dead Sea Salt Dew is charged with positive dew drops and very potent form of Ormus. 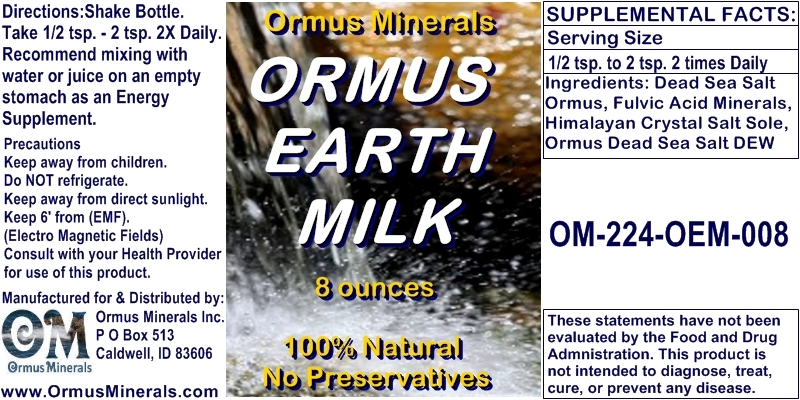 So this powerful combination is a full spectrum mineral supplement with a lot of powerful Ormus energy combined.